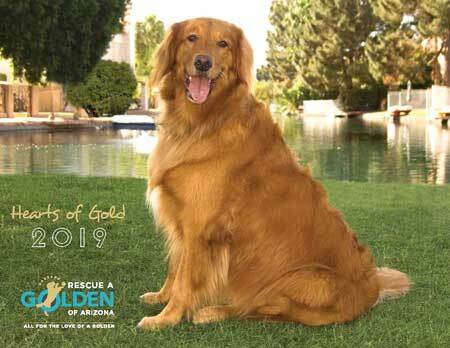 Rescue A Golden of Arizona 2019 Calendars are available now! 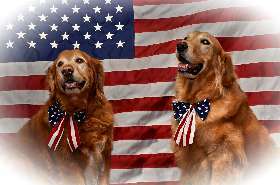 Scroll down to read about our monthly calendar dogs. 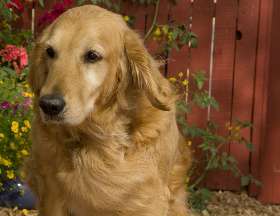 Click here to view a remembrance of our companion Goldens who have crossed over the Rainbow Bridge this year. 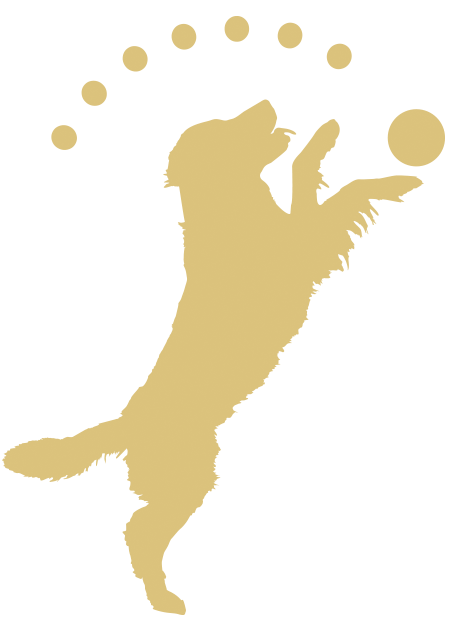 Click here to see Goldens from across the globe placed by RAGofAZ into new loving homes! Hi. My name is TUG. I’m 3 years old and a happy-go-lucky guy. My life was not really all that happy before I was rescued. I had something called Parvo. I’m not sure what that is but I sure was sick! I remember being picked up by a nice couple from RAGofAZ and rushed to a hospital. Lots of people in white coats poked me with needles for about a week. It wasn’t fun but I started to feel better so that was good! Luna is a rescue from South Korea. Her owner dumped her in front of a factory and the local villagers fed her scraps as she scavenged for food. She hid when the dog meat traders would come around. 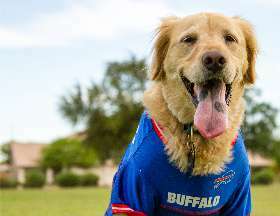 Ten years ago we fostered an eight month old golden called Bronco for RAGofAZ. He was in such turmoil from his breeder that he would do alligator rolls when leashed, would run away inside or outside the house and hide under beds or in bushes and shiver at the thought of human contact except for his Rescue Mom. 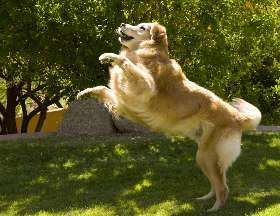 I had just moved into my Phoenix home in 2006, and wanted to adopt a Golden. I checked RAGofAZ’s web site and there he was. It was love at first sight for this gorgeous “two year old male” named Blu, rescued from the Prescott Animal Shelter. 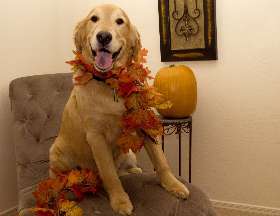 A timid, scared 3 year female golden arrived at our home May 2014, after being surrendered to RAGofAZ. Not knowing her history, we needed to watch and learn, as she did the same of us. We felt a special connection to her and decided to adopt her as our own. Caesar was rescued by RAGofAZ in January, 2009, at the age of six. 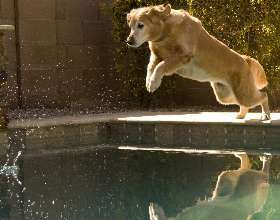 Caesar, now over 15 years old, continues to subscribe to his lifelong ideal that youth is not a time of life but a state of mind. He possesses a constitution unlike any animal we have ever enjoyed. 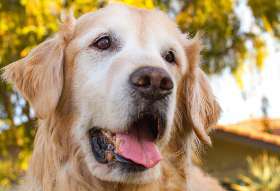 The first three years of my life I lived in a breeder’s backyard with no human companionship. As an answer to my prayers, the breeder gave me to RAGofAZ. 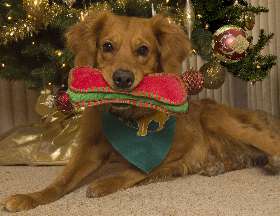 Bella was rescued from a backyard breeder with numerous medical issues from having too many litters. Most alarming was a diagnosis of Valley Fever with an astounding titer of 1:256, a number that should have put Bella in a coma at best. 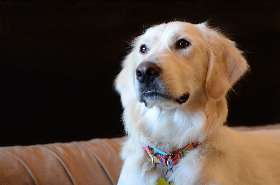 Espy (Esperanza Jane) was adopted from RAGofAZ in August of 2017. 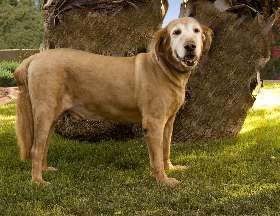 While she is good with other dogs, she absolutely loves people and attention. She greets every visitor with a smile and then rolls onto her back to get her belly rubbed. I was born in Guadalajara, Mexico, and I lived there until I was three years old. My home life was pretty tough, but all of that changed when a nice person from RAGofAZ rescued me. Beautiful Phoebe came to us from the same backyard breeder who gave us Bella. 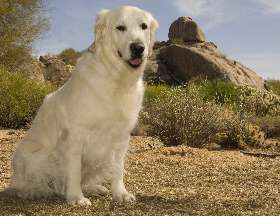 Phoebe arrived trembling with fear, filthy, covered with ticks, and sick with Heartworm. Mia arrived at Sky Harbor on May 22, 2017 at 9:30PM, the temperature was a balmy 99 degrees. After traveling almost 9,000 miles she bounded out of her travel crate and into my arms.